This post is brought to you in partnership with Hallmark. Prizing and samples were provided by Hallmark. Opinions are my own. Hallmark is transporting babies of the 80’s back to their childhood with a line of adorable Rainbow Brite products. I am so excited to be introducing my kids (and a whole new generation of children!!) to one of my all-time childhood favorites. 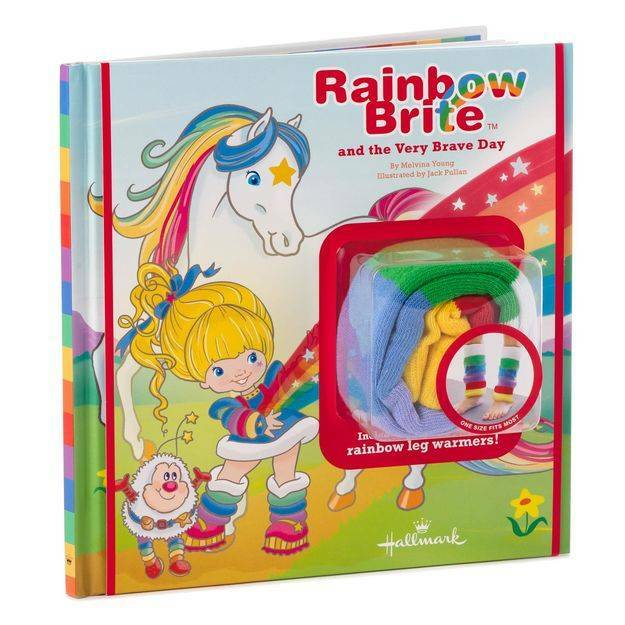 From Rainbow Brite dolls to plush Sprites and Starlite (Rainbow’s trusty horse), to a wonderful collection of Rainbow Brite books, Hallmark is your one-stop-shop for your favorite 80’s darling. With the holidays quickly approaching, these books (and other awesome items!) would make the perfect gift not only for a child on your list, but also for any child of the 80’s! Think “Chicken Soup for the Soul” visits Rainbow Land. This book offers wisdom like, “Happiness will find you, but leave a trail of sunbeams just in case.” This would be the perfect coffee table book for an 80’s baby. This book is going to “WOW” every kid on your list this year. This is the first time I’ve ever encountered a touch-sensitive interactive book. Kids use their finger to swipe a golden arrow on each page, triggering a special sound effect. My kids LOVED it! I have to admit – my favorite thing about this book is the leg warmers!!! Ohhhh the 80’s feels! 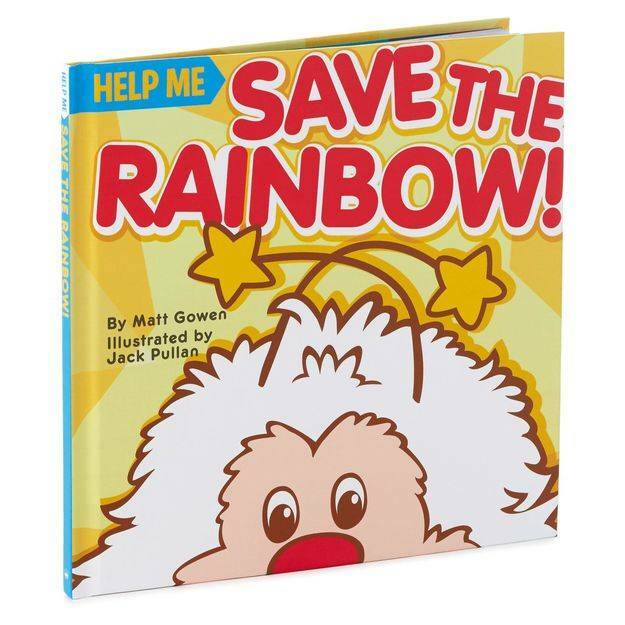 Additionally, the picture book is adorable, and the quintessential Rainbow Brite story, featuring all your favorite characters from the classic series. 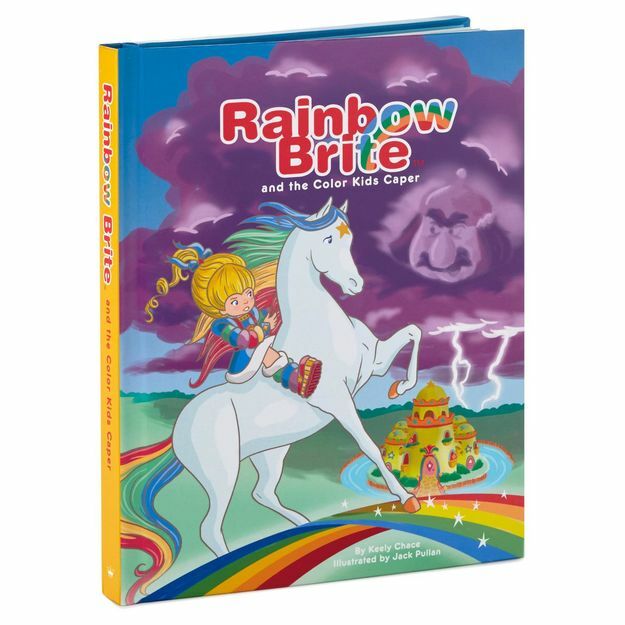 I encourage you to head to the Hallmark website and check out ALL of their super-fun Rainbow Brite products! 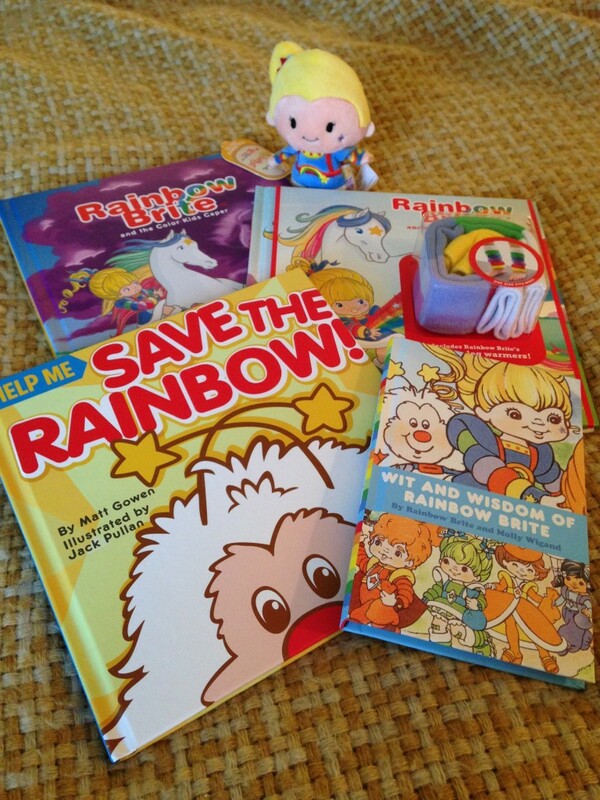 One very lucky Chasing Supermom reader is going to win all 4 Rainbow Brite books!! Get those entries in and good luck! 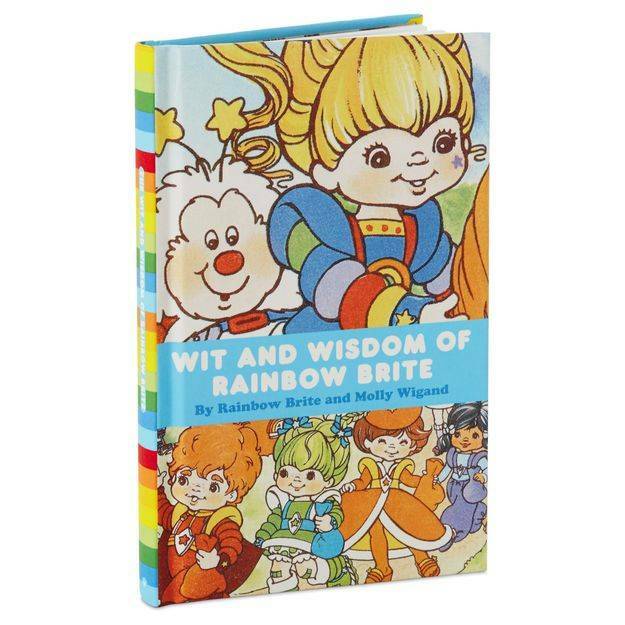 Wit and Wisdom of Rainbow Brite, Rainbow Brite and the Color Kids Caper, Help Me Save the Rainbow, and Rainbow Brite and the Very Brave Day. Contest is open to US residents 18+. Prizing provided by Hallmark. You mean besides Rainbow Brite right?!?! Care-bears were another HUGE favorite of mine! Particularly Sunshine Bear! My favorite show from the 1980’s was Family Ties. My favorite show from the 80’s was Cheers. My favorite show from the 1980’s was The Smurfs. I was grown in the 80s. I liked Dallas! Punky Brewster and Fraggle Rock were my favorites!!!! My favorite character was all of the Smurfs.